A laugh-out-loud comic variation on the virgin birth in which a young woman finds her life spiralling into confusion when she wakes up one morning, unaccountably pregnant. 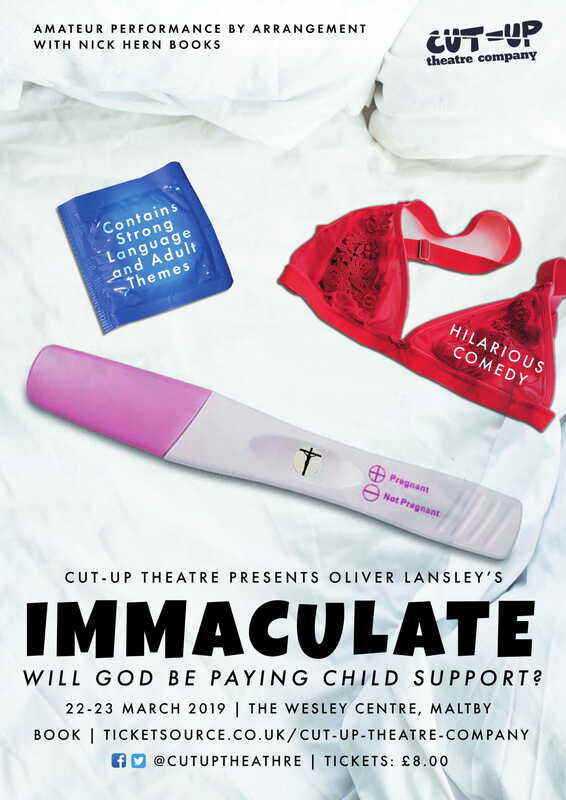 Oliver Lansley's play Immaculate was first performed by Les Enfants Terribles Theatre Company as part of the 2005 Edinburgh Festival Fringe. Amateur production by arrangement with Nick Hern Books.